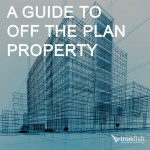 In the second part of our guide to successful property investments, we look at five of the most important factors in building a sustainable portfolio including finding a property manager, conducting proper research and seeking professional assistance. We all understand that we should talk to an accountant or financial advisor when we need assistance with financial matters, but how many of us think to get the assistance of property investment experts when we’re looking at buying property as an investment? 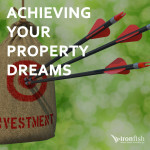 A company such as Ironfish can not only help you find pre-public and pre-negotiated opportunities in the market, they can also help you to develop a long term investment plan that will help keep you focused and help you realise your financial dreams. Although it’s tempting to want to have as much control over your property investment as possible, it is generally a good idea to find a property manager who will take care of the ongoing day to day management of your property. If you are planning to buy a brand new or off the plan apartment, it is particularly important to find a property manager who understands the market and can find you the right tenant. as this is where they majority of high quality tenants will want to move to. Up and coming suburbs with good transport links and new infrastructure can also be worth looking at from an investment standpoint, especially if there is evidence of lot of new property developments going up in the area. 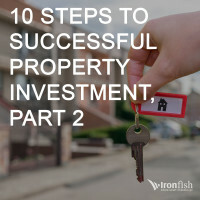 Property investment is not something to embark on if you know nothing about the property market. At the very least, you should understand the terms and ideas related to the market – for example, it is important to know about concepts such as stamp or transfer duties, capital gains and your responsibilities as a landlord. 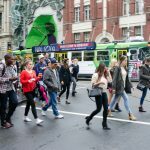 Experts also recommend that you can start with learning about the property in your area or the suburbs around your city centre to get a feel for what is popular with the rental market. 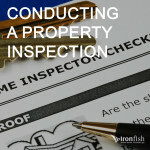 Going to property investment seminars run by professionals such as Ironfish is also a great way to get access to in depth research and data, as well as talk to people who can assist you. 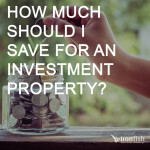 One of the great things about being an investor these days is how easy it has become to use the existing equity you may have in property to fund the purchase of other property investments. In terms of property, equity is simply the total value of your property, excluding any debts you may have still outstanding. This means that once you buy a property and pay off part of the loan, you may be able to talk to a bank or other financial lender to “unlock” this potential equity. Don’t forget also that the more your property goes up in value, the more equity you will be able to access over time.